It was then that she caught sight of something in her peripheral vision...something familiar. She turned her head carefully to the left, her eyes colliding with and staring hard at a pair of dark eyes looking directly back at her. Still, despite the intervening years, an all too familiar pain shot through her, and without her conscious will, she found herself scrutinizing the man she had once thought herself to be in love with...a man who had left her for no more than three hundred gold dukaten. He looked much the same as he had ten years ago, yet different. Whereas High Wolf had been little more than a boy then, he was now very much a man, and he looked bigger somehow, though he was still extraordinarily slim. Perhaps it was because his chest was wider, larger...or perhaps he was more muscular. He looked...better, more handsome, more virile. He looked...Indian, alien from all she had ever known and loved. Yet his countenance was, contrarily, as familiar to her as a well-rehearsed play. 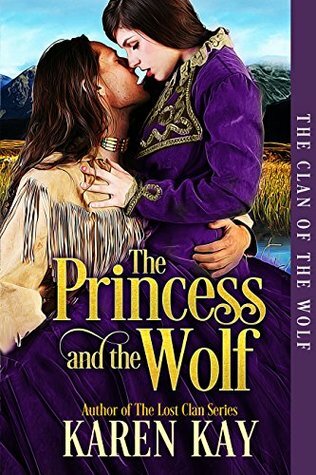 Only too well, she recalled that High Wolf considered the prince to be more than a friend. To him, and perhaps rightly so, Prince Alathom was a brother, a brother in fact as well as in deed. Besides, High Wolf would hardly condone her murderous plan...a scheme she fully intended to execute if the prince refused to return to the Continent, whereupon he would take up his responsibilities. Odd, he thought, how the mind could forget the pain, the anguish, the loss. For a moment, all had been gone, replaced by the simple joy of seeing her again. Odd, too, how his body was even now reacting, that most manly part of him pulsing with every pounding of his heart, remembering, anticipating...what could never be. And High Wolf stared back, his gaze, for all that he was aware of her faults, still hungry for the sight of her. And for a moment, time distorted. There was no past, no present, no future. There was only she... and he, the rest of the world diminished, as though it were no more than their own personal backdrop. Saaaa. He used the Cheyenne expression which stood for many things, including astonishment. It was as though she might be the wounded party from all those years ago...not he. If he had a wife...? A shadow crept over the water, moving steadily forward. It was looking for something, or someone. But what? Or rather, who? Such a romantic opinion of the land was short-lived, to be sure; a mere illusion. By evening, Princess Sierra was once again to be found on deck, leaning against the railing, gazing down into the depths of the muddy and frightening waters of the Missouri River. The boat was in readiness to move into position for its nightly mooring, and every voyageur was involved in the process of maneuvering the Diana through the heavy currents of the river. Perhaps that was why the air was heavy with smoke, much more so than usual. Or maybe it had something to do with the wind, which had shifted from the west to the north. Dusk had yet to fade into darkness. Indeed, it was still quite light out, despite the fact that the sun was ever so gradually setting. Odd how the land picked up the pink and golden hues of the sky at sunset, the land magnifying the sunset’s intensity by creating the illusion that sky and land were one and the same. It gave a body the feeling of space, as though a person’s troubles gained room, moving away and dissipating. But Sierra’s problems were far too large for the simple act of gaining space to solve them. The rift between herself and the prince, between herself and High Wolf, was too immense to make the grievance so easily resolved. Still, glancing away from the sunset, she brought her sights back to the water, noticing how even the river mirrored the sky; the pinks, the blues, the golden hues. For a moment, if a moment only, these sights gave her peace. Leisurely, she glanced toward a large stick, which had become caught up in the current, the force of the river itself spinning it, making the stick look as though it were dancing...as though it might be a dancer. Wide-eyed, Sierra Morena Colheart watched the toy ballet dancer spin in time to the tinkling strain of the music box. She stared at the miniature dancer, fascinated, until the music at last slowed and the dancer stopped. Glancing up at herself in the mirror, the sixteen-year-old princess smiled at her own image; her grin, young and fresh, was full of vigor. Indeed, it was the giddy gesture of a young woman in love. Ah, she thought. Tonight was the night. Tonight it would happen. Dreamy-eyed, she stared out her window, only to witness the reddish rays of the setting sun. Goodness, how long had she sat here, lost in thought? What was the time? Was it already half past six, the scheduled time she was to meet High Wolf? Was he even now awaiting her in their own secret place? Glancing at the grand, old clock in the corner of her room, she realized she was “going before herself again,” as High Wolf had often said of her, which meant, she supposed, that she was living in the future instead of the present. The clock read only a quarter to five. Still, she had much to do to prepare for the evening. Where was her maid? But sometimes, thought Sierra, she wished to simply let go of convention and formality. Wasn’t that what High Wolf often did? And if there were one wish Princess Sierra desired more than anything, it was to do everything that High Wolf found exciting. Still, the habits of the last sixteen years could hardly be ignored, and she walked as calmly as she could to her door, where she rang for her maid. Almost at once, Maria knocked gently at the door. Maria did as bid, bowing as she came farther into the room. “May I be of service, Your Highness?” she asked. Maria grinned back happily. “Yes, Your Highness,” she said matter-of-factly, and stepped to the closet, where she extracted a pair of white slippers. For a moment, Sierra stopped, glancing askance at her maid. And then, without a word being spoken between the two of them, both females broke out in laughter. “Yes, Maria,” said the princess, dutifully taking her place at the vanity. “Anything you say, Maria,” she said, grinning widely and catching her maid’s gaze before both young women succumbed once again to a fit of giggles..
“Yes, Your Highness,” said Maria, and curtsying, she retreated. “My father said he would be announcing your engagement tonight,” said Prince Alathom. Despite all her upbringing to the contrary, Princess Sierra giggled. Just then, as though in accompaniment to the merry sound of the three friends’ laughter, the strains of violins and cellos reached out to them. “We shall,” agreed High Wolf as he linked her arm with his, leaving Prince Alathom to follow along behind them, a circumstance to which the prince had never given objection. “Alathom?” the princess called out over her shoulder. Loud bells rang out unpleasantly, interrupting her reminiscence. What was that? Fire? Here? Now? Was that why there had been a smoke-heavy odor in the air? Without further pause, what had once been a calm evening turned riotous. Men rushed by her, below her, above her. Horses whinnied in the haul, while the hogs shrieked. Sierra stood still, frozen, watching, barely able to comprehend the danger as being real. It had seemed so quiet only a few moments previous. Where was Mr. Dominic? Where was Maria? She needed to find them...now. Turning, she backed up from the railing, intent on running away. However, she did no more than set herself into the path of a voyageur, who had suddenly come upon her. Inadvertently, she knocked him to the deck. “I’m so sorry,” she apologized as she threw herself forward and out of the way. Quickly, she clung to the rail as the man jumped to his feet and sped away, all without uttering a word. It was Mr. Dominic. Somehow he had found her. Taking her arm, he propelled her along with him as he fought his way toward the lifeboat, shoving through the hurrying crowd of voyageurs. Confusion reigned supreme, and men rushed by them with little regard to what they did, more times than not pushing Mr. Dominic and Sierra out of the way. Within moments, although it seemed to Sierra to take a lifetime, the two caught a glimpse of the lifeboat. Through the haze of smoke, they could see that several other passengers were scrambling toward it. Sierra stared around her, coughing as she inhaled soot and smoke. “Where is Maria?” she asked. Suddenly, Mr. Dominic bent over and picked her up, setting her into the boat. Then, straddling one leg over the side of the boat, he began to climb into it. “Your Highness, I beg you. I...” Mr. Dominic trailed off his objection, looking, for all that he was big and muscular, as though he might wail. But at last he appeared to capitulate, releasing his straddle from the lifeboat. Mr. Dominic looked as though he would raise yet another objection, but, as the flames climbed higher into the smoke-laden sky, and with little choice other than to obey his monarch, Mr. Dominic turned and fled in the direction of the maid’s cabin. At the first hint that something had gone amiss, High Wolf immersed himself in the waters of the river, and in doing so, became a part of the river, so much so that not even a swirl could be seen in the water to indicate his progress. Cautiously, he floated toward the ship, practically invisible. He didn’t swim, nor did he float, but rather he executed what could only be described as a dance with the river’s current. Never did he fight the river’s power, but rather he moved with it, letting the water propel him closer to his target. At last he came up close to the boat, himself a calm influence in comparison to the turmoil aboard the Diana. He could feel the terror there, sense the smoke-induced delirium of the boatmates, but it was not in his mind to aid these men. No, she was the reason he was here; he would find her. Quickly, he perused the voyageurs, as well as the passengers who were still aboard the steamboat. Some of them were already jumping from the burning remnants of the boat, an action that could bring sorrow, unless a person either knew how to swim with the river’s flow or was strong enough of body to fight it. But perhaps these men were that hardy, for these white voyageurs, who worked the boats, were sometimes admired for the physical marvels they could perform. Alas, however, High Wolf saw nothing of her. Making a quick circle around the boat proved to be a waste of time, for he still had not seen her. And so it was that he found himself with little choice but to board the boat. Quickly, he hoisted himself up to the main deck, coming down flat-footed and at a run, aware as he did so that the steamboat was sinking, and with the majority of the Diana’s body enveloped in flames, there was little to be done for her. As it was, her lower deck was flooded, and in places already half submerged. Still, without losing more than an instant, he found his way around the decks, until as he rounded a corner, something large and heavy fell into the water, creating a terrific splash. But the gray mist of smoke hung heavy over his eyes, and High Wolf found he could see but little. Swiftly, he trod closer, and looking toward the spot, High Wolf recognized the cause at once: a smaller boat; one he knew to be a lifeboat, had been thrown into the rushing current. Suddenly, things became worse: A piece of wood from above, engulfed in flames, broke off the Diana’s main hull and fell, streaking, toward the water. And before anyone knew what it was about, the wood, now a flaming dagger, struck the lifeboat. In moments, the boat tipped off balance, catching fire. A feminine scream split the air, its intensity piercing High Wolf like a knife. Bodies dove off the lifeboat, but not one of these people was female. Where was she? And then, through the soot-induced haze, he saw her, still aboard the blazing lifeboat, her countenance oddly composed. For she didn’t move, not even to save herself. What was wrong with her? Was she frozen in place? Although it seemed impossible, he knew that shock could sometimes cause a person to freeze and become unable to save themselves. Or was the problem caused by another circumstance or a different emotion? Was it her outrageously full dress? Was she afraid, with so much weight upon her, that she might sink, becoming entangled in its mass? But if that were true, she was surely acting in a poor manner to solve the problem, for she did not remove any of her clothing, or take any action to save herself. Instead, amid the ballet of diving bodies, the princess slowly sank along with the boat. It seemed amazing to him that he had no answer to that; he, who should know her well. Instinctively, High Wolf swam toward the place he had last seen her, and diving deeper into the water, hunted for her, but not with his eyes, for the murky waters of the Missouri did not allow sight for more than a few feet. No, he searched for her intuitively, spiritually, and in doing so, found her within seconds. But he had no time in which to experience relief. Grabbing hold of her, he kicked out hard, bringing her up with him to the river’s surface, forcing her head above water, where he heard her gasp for breath. She struggled, and down they both went once more. He kept hold of her with one arm, while with his other hand, he took out his knife, and then he did the unthinkable. As quickly as the water would allow him, he cut off her dress. In response, she mustered a formidable response. Whereas before he’d seen little life in her, she now fought him with renewed strength, as though he were some sort of madman, or perhaps she, a madwoman. But High Wolf didn’t have time or even the ability under water to explain his actions, and despite her best efforts, he continued cutting away until the dress was removed and the danger had passed. The weight of her clothing fell away. That this left her attired in little more than her calf-length drawers, hose and corset was hardly discreditable, for she was still almost fully covered. But their commotion under water had sunk them too low, and an undertow grabbed hold of them. Quickly, he seized her around the chin, and with mighty strokes, fought his way to the surface of the water, not stopping until he heard her sputter. At least she was still breathing. He realized that she was obviously unused to the water, and in the end, it required him to use brute strength against her, holding her arms and legs with one each of his own. Meanwhile, he kept afloat, lugging her with him and letting the water carry them back to shore. All at once, she ceased her struggle. In truth, his words must have had effect, for she at last let her body meld with his, allowing him to repeat his earlier dance with the river’s current, shoving off here, letting the stream take him there, forging through the water as easily as if he were picking his way across lily pads. It took little time before he managed to set them ashore, appearing, to anyone who might have been looking, that the river had lovingly placed them there. 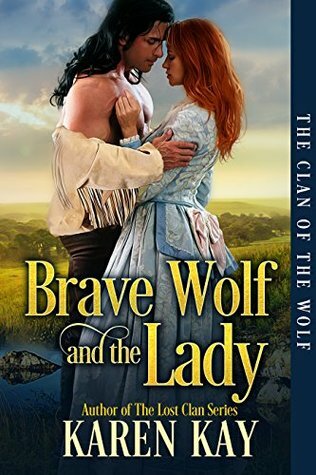 At once, High Wolf left the water, and with her tucked under his arm, he crept into the protection of the bush, where he granted her a moment to catch her breath. But a moment was all he could afford. She awoke slowly, and to the scent of the fresh, wet dew that had settled over the entire landscape. The cloud-like moisture that hung over everything made for a gray morning, yet there was something comforting about it, all the same. In the distance, the sound of many different bird songs filled the air with music, and she wished that she could distinguish one song from the other. But she couldn’t, and she sighed at her inability. Soon a deep, masculine voice, raised in song, drifted to her on the breeze. Of course, the voice had to belong to Mr. Lakota. What time was it? Where was he? He sounded far away. She started to rise, but winced when her muscles refused to obey her. Fair enough, she thought, and she lay back down, only to find herself staring straight up. Dawn crept into the sky slowly today, but even still, faint colors of orange and pink were settling into the gray-blackened sky. The feel of the wet mist touched her everywhere, bringing with it the scents of mud, grass and prairie flowers. Below her the ground was soft and giving, encompassing her weight with ease. The blanket that he had laid beneath her was warm, and for a moment, she experienced a feeling of well-being. But the awareness was quickly gone, replaced instead by the utter realization of her loss. The tears, which were never far away, blurred her vision. She sobbed, then she checked it. She didn’t want him to know she was awake. Why she felt this way, she didn’t understand. She only knew that these few moments alone felt important to her well-being. Luckily, he appeared to not notice her at all, for his singing continued, his voice deep and baritone. In many ways it was soothing to listen to him, but after a while she began to wonder what he was doing, and why he was singing at such an early hour of the morning, and to whom was he paying tribute? Turning silently onto her side, she saw him at last, and despite herself, she found the sight of him inspiring. He was facing east, his arms outstretched, as though he welcomed the misty warmth of sun into them. Perhaps he was. She watched him for the spread of a few more moments, admiring the muscles in his broad shoulders. The two lengths of his hair-braids fell down over his back, a back which narrowed in a V-shape into his breechcloth. An eagle’s feather waved back and forth in the ever-present wind, and she was reminded that there was a beauty to this moment that even she didn’t understand. That’s when she realized it. She sat up smoothly, so as not to distract him. Was she wrong about that? No. He was standing, his legs apart, his arms open. And he sang and he sang. There was a wonderment to the moment that reached out to her, but rather than such pleasure bringing her relief, her appreciation brought on more tears, which fell gently onto her bosom. That’s when it struck her: she hadn’t talked to the Lord since she had laid Jeffrey in the ground. Perhaps there was reason for that lack, for she couldn’t understand why God had taken a person so precious from her. Watching Mr. Lakota carefully, she discovered a need in her to do the same. Perhaps a talk with the Lord might help her to understand her loss. She rose up to a sitting position, and from there she came to her knees, and then onto her feet. She took up her rifle, placing it in the crook of her arm, as she stepped toward him, and reaching him, she fell to her knees. With head bowed, she brought her free hand to his, taking his in her own. Her hand squeezed his, and he realized its gentle pressure brought him pleasure. It wasn’t that he was surprised by her appearance by his side, for he’d known when she had awakened, and he’d heard her footfalls, quiet though they had been. But her action in touching him created a flood of feeling within him that he was not prepared to understand. It was the first time she had reached out toward him, and he was surprised that he liked it. Leaving his hand held tightly within hers, he glanced down at her as she knelt by his side. Her hair, tousled from sleep, shone with a wild, reddish hue, here beneath the grandiose of the pink and golden sky. Her eyes were shut and her head was bent toward the ground. He understood. She had come here to pray with him and to give thanks to the Creator for a new day. After a while, he gazed away from her, turning his attention back toward the early morning sun, as the misty world around them exploded with a mirage of colors, steel gray of the sky, orange, pink and blue rays of the morning light. He finished the song, yet he didn’t relinquish her hand. They stood thusly, each seemingly reluctant to bring the moment to a close. It was as though time itself had ceased to be, and though slow to acknowledge his feelings, he felt a part of him draw closer to her. From out the corner of his eye, he saw her make the sign of a cross over her head and chest, and he realized her prayer had come to an end. At last she looked up at him, and he turned his gaze on her entirely. Her eyes looked like large, doe-colored jewels in her heart-shaped face; they appeared to question him, and he held that look, until at last, she gazed away. At length, she struggled to her feet and he took her weight upon him easily as he helped her up. She let go of his hand then, and he surprised himself by the bereft feeling he experienced at its loss. He said, “Custom...it is to...welcome day...by giving thanks to...Creator. You...may...be here with...me every...morning...if you...like.” His voice, he noted, was husky, and he was stunned by that fact. “Yes, yes, of course,” she spoke quickly, glancing away from him before she turned to take the necessary steps back to the place where she had slept. He watched her momentarily as she picked up the blanket that had buffered her from the ground during the night. He saw her fold it and place it in one of his bags. That’s when he realized that she would be wanting a bath. All creatures needed the cleanliness of the water, but women in particular seemed to enjoy these necessities excessively, even when on the move. It would be his duty to locate a secluded place, free from the danger of enemy eyes, where she could freshen herself. He astonished her. Before they set out upon their journey this day, he produced a pouch full of water, and handing her a sprig of grass that smelled like mint, he showed her how to use the plant to clean her teeth. Next, he set out a small piece of buckskin on the ground, and made the signs for wetting it and washing the face. He surprised her again when he produced a brush. It was crudely cut, a wooden stick carved so as to mimic a comb, but in case she didn’t realize its use, he used it in the pretense of combing his hair. When finished, he laid the “brush” out for her use. He nodded, and leaving these things in her possession, he rose up to his full height and trod away from her. She starred at his departing figure, noticing idly that his masculine gait blew his breechcloth back and forth in the wind. At once she was contrite for the observation, and she felt more than a little disrespectful to Jeffrey’s memory. Still, she hadn’t thought to bring such items. When they had first set out upon the trail, her attention had been so introspective that to even consider what toiletries she might need had been beyond her ability. But he had thought to pack them...for her? Perhaps. Whether for her, or for some other reason, she was thankful that he’d had the foresight to remember them. Slowly, with some apprehension, she picked up the “comb” and began the long process of chasing the knots from her hair. Awhile later, Mr. Lakota returned to her, and squatting in front of her, he produced a kit from another one of those numerous bags he carried. Opening it, he pulled out some “paint,” and placed a red dot on the crease between her eyes. She nodded, and gazing a little ways up at him, she again compared him to a walking arsenal. A rather handsome and human one, true, but he looked prepared for battle. He wore many of their bags around his shoulders as well as his bow and quiver full of arrows. Resting on his thighs were two rifles, and there were rounds of ammunition strapped around his waist. “Yes,” she murmured, her tone of voice guttural, which caused her to introspect. What was wrong with her? He was still squatting in front of her when he replaced the red paint in a pouch, and produced similar pots of white and black paint. With a firm hand, he dabbed the colors on his own face, making a pattern that reminded her of how he had appeared the first time she had seen him. She shivered. She would rather have not recalled that memory. “Why do you use that paint on your face?” she asked quietly, perhaps with the hope that talking might distract her from her own thoughts. He shrugged. “Perhaps. Come,” he said as he came up onto his feet. “We leave...now. Long...walk.” And with this short and to-the-point explanation, he turned away from her, his gait swift. He turned back toward her, a frown marring his countenance. Quickly his gaze scanned her from the top of her head to the tips of her toes. He nodded, although he did give her a strange, searching stare. Nevertheless, he released one of the pouches from around his shoulders, took a step toward her and placed it gently over her head. However, he appeared to take much too much care to avoid touching her hair or her shoulders, or any part of her at all. For her comfort? For his? All in all, she supposed she appreciated his care. For the pulse of a swift moment, he stood back looking at her with an appreciative glance. Was he admiring his handiwork, she wondered, or was he approving of her? Briefly, she smiled, and was surprised to see that his gaze lingered over her lips. But the look was quickly gone, and as he turned away, she asked herself again whether that glint of admiration was for her. His fleeting look at her was enough to cause Mia to realize that her defiance frustrated him. After four days of travel with this man, she had become used to witnessing the tiny nuances that told of this young man’s emotional moods. Years from now, she thought, he would most likely master those miniscule flickers of concern. For a moment she caught a surprised light in his eye as he regarded her. The curious look was gone, and in its place was a glimpse of... Was that admiration? He drew his brows together in a frown as he stepped toward her. Nevertheless, he uttered, “Then walk...low to ground. Like this...” He bent over double. She limped toward him, and reached out for it, but he did not immediately give it to her. Instead, he made a sign to her, and turning away, he indicated that she should follow him again, traveling once more in that bent over position. Shutting her eyes on a deep sigh, she realized she had little choice but to do as he asked. The deeply colored green grass waved above them in the prairie’s ever-constant breeze, while a hawk circled above them, as if curious about the goings on below. Crows flew here and there, their caw-cawing echoing loudly in the warm breath of the wind. Everywhere about them was the scent of mixed grasses, mud and sweet earth. The sun felt hot, since it was now in its zenith, but the surrounding shrubs and grass provided some shelter from its direct heat. Only moments ago, they had stopped on a piece of ground where a few large rocks littered the terrain. He sat on one of those slabs now; she resided on another, facing him. He held her boot in one hand and the sole of that shoe in another, and he examined the footwear and its missing bottom from every possible angle. As she watched, she basked in the relief of simply sitting. Sadly she’d left her bonnet behind in her wagon, and in consequence the sun glared down on her bare head, while the wind whisked locks of her hair into her eyes. With an impatient hand, she pushed those strands behind her ears. She gazed away from him, not focusing on anything in particular. Simply, it seemed a better option than looking at him. Something about his hands, something about the delicate way he handled her shoes was... She sighed. She rocked back, and let her aching calf muscles relax as a feeling of peace settled over her. It was the first time since Jeffrey’s demise that she wasn’t constantly reminded of that loss, and for a moment, if a moment only, the hurt subsided, but only a little. It had been earlier in the day when she’d lost the sole of her shoe. At first she had said nothing about it to Mr. Lakota. But, after discovering that blood had covered her hosiery and the sole of her foot, she’d at last confessed her problem to him. She’d expected his anger, for it meant that something would have to be done about it, which would only serve to slow down their progress. But he’d shown none of that. Instead, he’d calmly asked her to go and retrieve it. It had seemed a simple request, for she was accustomed to backtracking to retrieve bits of her dress after the material had caught and torn on a branch or vine. But this was different; she had delayed telling him about it, and the underside of her shoe might be as far back as a mile. He might not know it, but she would never go so far away from him. Not even during the day. It frightened her to be alone in this vast expanse of prairie. Her heart sank. What did that mean? That she was doomed to walk over this muddy, sticky and stone littered ground in her blood-soaked, stocking feet? Still she hesitated. Was it unseemly to raise her skirt so that she could extend her foot toward him? Perhaps it was, but the rights and wrongs of such behavior seemed the lesser of two evils. With a shrug, as if she were releasing a weight from her bosom, she did as he asked. At once, she realized her mistake, for as he took hold of her by her ankle, placing it on his lap, her heart skipped a beat. What was the matter with her? She should feel embarrassed because he was touching her, not...elated. She gathered her skirt around her legs in an effort to minimize the exposure of the rest of her from his view. But it was a wasted effort; he showed no interest in looking at her there. Instead her attention centered inward as she admonished herself. Perhaps, she thought, Mr. Lakota reminded her of Jeffrey. Could this be the reason for her misguided reaction to him? Wasn’t it possible that some deep and uninspected part of her was a little muddled? After all, Mr. Lakota was a young man, and she had been a newly married woman...and Mr. Lakota had rescued her from what would have been a gruesome death. It was only natural, wasn’t it, that she might place her emotions for Jeffrey onto this other man? Yet, she countered her own thoughts, she was more than aware that her reaction to Mr. Lakota was not simply emotional. It was sensuous, perhaps a little wanton in nature. Was it possible that her body, having been treated to the delights shared by a married couple, was flustered by the presence of this man? And that it was her body’s reaction to him, not her own? Ah, she sighed deeply. This was more than likely the truth, she reasoned. What she was experiencing was little more than a physical reaction. Nice thought, she concluded, but hardly practical. Given their situation, and seeing that her life depended on this man’s ability to get the two of them safely across the prairie, such introversion would hardly be possible. All at once he placed her foot back on the ground, ending their physical contact. Relieved, she breathed out slowly, expecting that the lack of his touch would improve her problem. Mia’s stomach dropped, and she felt as if those words had delivered her a blow. So, she thought...this man was spoken for. Of course he would be, she reckoned as her thoughts raced ahead. He was young, he was kind and he was also handsome. What female worth her weight wouldn’t do all she could to make this man hers? “We...cache...these.” He held up her boots. Yet, as he touched her foot, the warmth of his fingers produced again that recognition of a passion she wished she didn’t feel. As the bodily excitement swept over her nerve-endings, she became aware of a stirring of sensation within her. “Waste, good,” he acknowledged, echoing the word with a motion of his hand out and away from his chest. “Does that gesture that you make mean something?” she asked. He smiled at her then, and seeing it, as well as his so obvious approval of her, she almost swooned. But she didn’t. Instead, her thoughts turned inward once more, and she admonished herself. Briefly she wondered why her sense of moral right and wrong was not standing her in good stead against this man. At least, she thought, he seemed oblivious to her stirrings. She bit her lip, wishing that she were blind to it, as well. Unhappily, it simply was not to be..
Could this book be my cup of tea? The book covers look great! I like the descriptions of the books. The description of the book was interesting. The cover is wonderful.